This is a great cel of Cookie Monster from a Sesame Street animated short of the 1970's titled "1 to 20 Number Elimination" in which the numbers 1-20 were all destroyed or eliminated in some fashion. 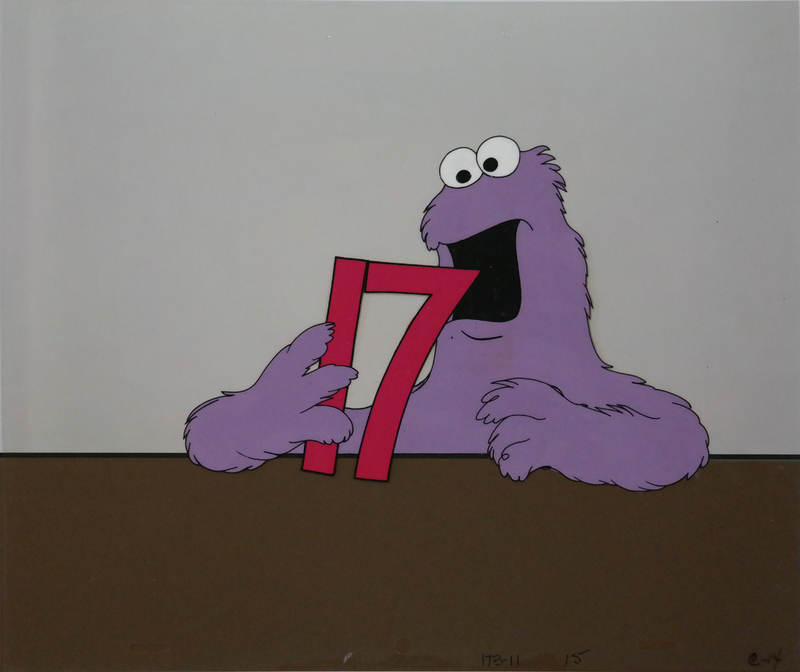 The number 17 featured a cameo by Cookie Monster, who ate it. The untrimmed cel measures 10.5" x 12.5" and the image measure 5.5" x 8".